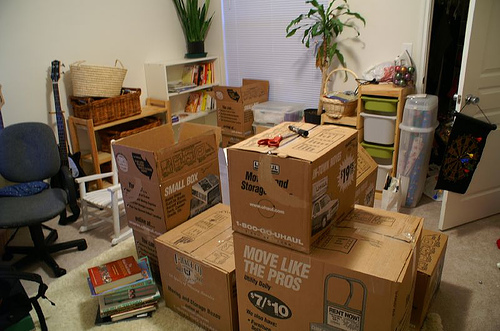 How To Know When It’s Time To Move? Coming to the conclusion that it’s time to move out of your home and into a new one is a very big decision. It means that there is an awful lot of change that is to come, and that is both incredibly exciting and also incredibly nerve-wracking. You need to be sure that this is right for you before you do anything drastic, as the last thing you want is to pack up and move, only to find yourself wishing that you hadn’t but now it’s too late. A lot of the time, people refrain from taking the leap and doing what they really want to do all because they’re scared. This is understandable, but it’s important that you know that change is good – it’s a good thing. It’s a necessary thing. It’s an inevitable thing. So you need to learn how to embrace and accept that fact. The sooner you do that, the sooner you can start living your life and enjoying all the brand new experiences that are waiting for you around the corner. If you still aren’t sure though whether you’re ready to pack your things up with Qshark Moving company and leave though, then here are some more reasons as to why it may be time for you. Or not. You may have started out alone in your small home, only to meet someone, and then even start a family. Because of this, your home may not be able to give you what you need anymore as babies are growing and require more space and maybe even more rooms. There is only so much that you can do until the home just doesn’t fit your needs anymore. You may have started out with some roommates so you all split the rent each way, but as time goes on people get careers and relationships that take them in different directions, and you might find yourself being left with a big house with no one to fill it. This will become extremely expensive as you are the only resident and you just can’t afford to pay everything on your own, so your best bet is to downsize for something more affordable for your circumstances. It’s something that we often hear about in the media, but sometimes you may be unfortunate and have some neighbors move in next to you who aren’t the nicest of people. They might be too loud with their music, or argue through the night, or may just be generally unpleasant people that you don’t wish to be in close proximity with. Although it’s a shame, you may come to the conclusion that the best thing for your sanity is to just leave and find somewhere better suited with a nicer neighborhood. You may find that there is no reason at all as to why you want to move. You just wake up one day and realize it’s time. And that’s okay too. Your happiness should always come first.